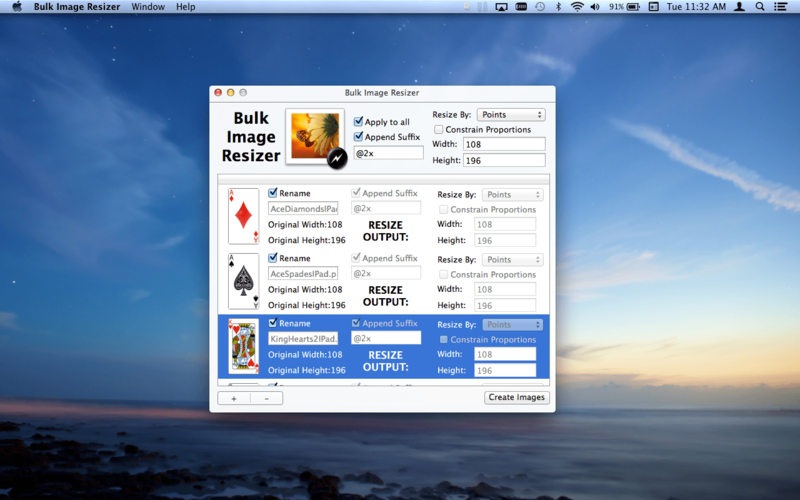 Bulk Image Resizer lets you rapidly resize groups of images. 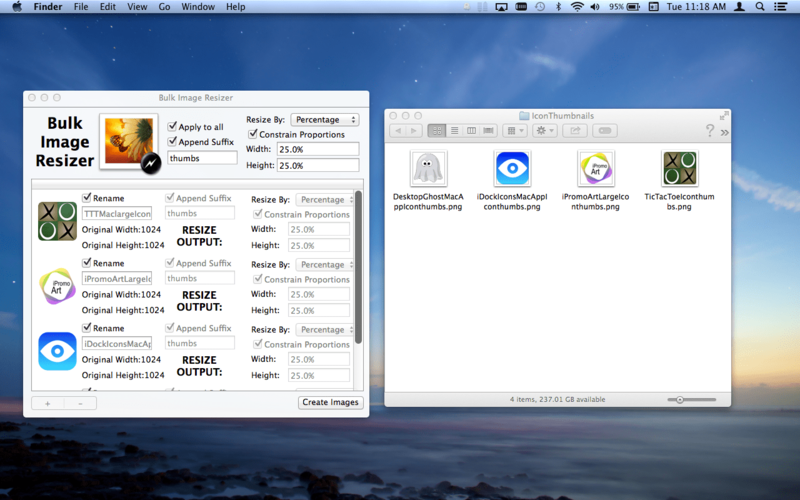 -Resize groups of images by points or by percentage. 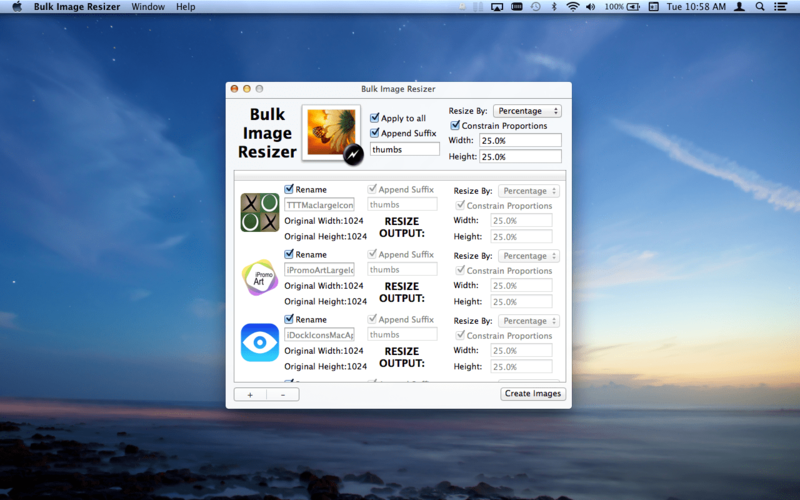 -Rename images and/or add a suffix to a single image’s title or to an entire group of images. 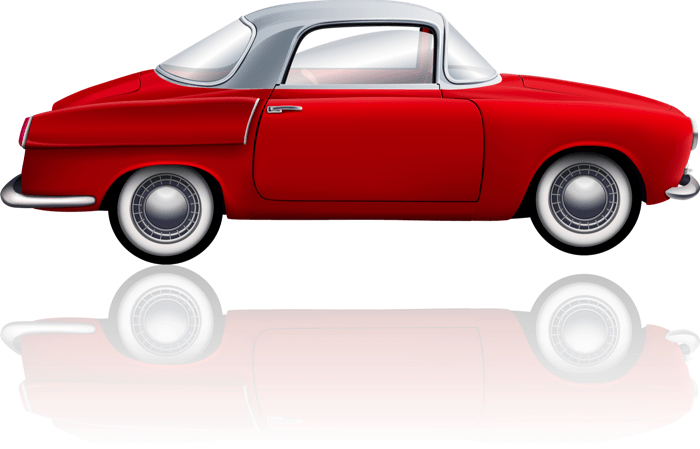 -Export the resized/renamed images as .png, .jpeg, .tiff, or .bmp. -Generate groups of thumbnail images in a few short seconds. -Rename groups of images and/or add suffixes to groups of images (for example you can quickly add suffixes such as: @2x, -hd, thumb). -Exported images are created in a single folder that you name (Bulk Image Resizer does not overwrite or destroy your original image). 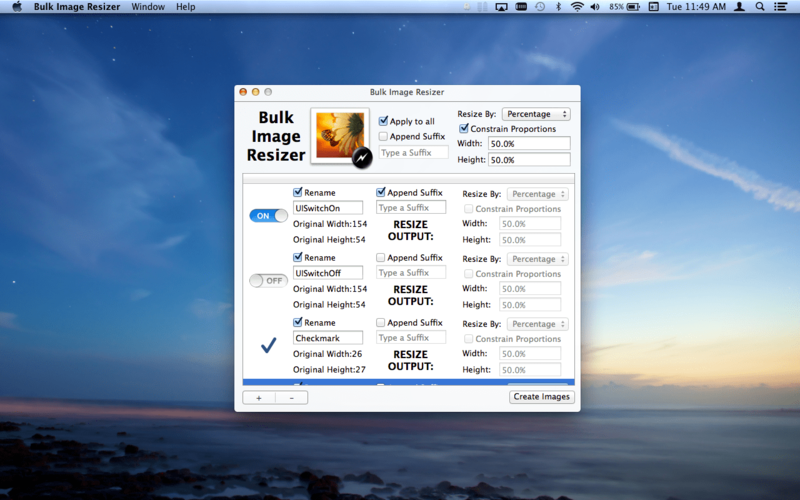 -Bulk Image Resizer is a great tool for creating thumbnails for your website, organizing images for a slideshow, quickly adding @2x or -hd suffixes if you’re on iOS or Mac developer, and more!